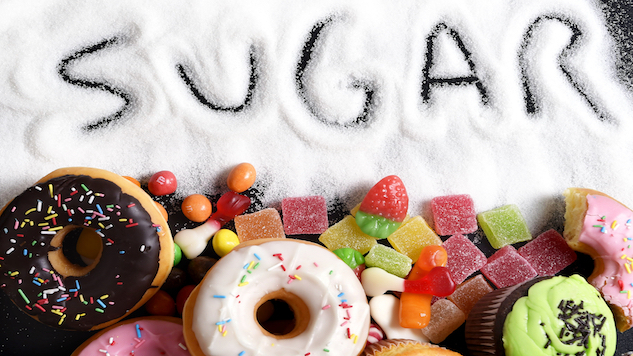 It’s not just diabetics who need to eat less sugar. From kids to grownups, we’re all overdosing on the sweet white stuff, sometimes without even knowing it! Here are 10 (surprisingly easy) ways you can cut down on your sugar intake and boost your health ASAP! Choose one or more to try and you’ll be amazed by the results. Read Labels—added sugar pops up everywhere, from tomato sauces to soup powders to crackers (yes, really). If sugar is listed fairly high up on the ingredients list, the product contains a lot of it, so move down the shopping aisle and make a smarter selection. Spot the sneaky sugar—sugar by any other name (sucrose, high fructose corn syrup and all those other ‘ose’s) is still sugar. If more than one of these aliases appears in an ingredients list, it’s a good idea to walk away. Cut back slowly—immediately ditching all the sugar in your diet will leave you with cravings and will likely lead to failure. Instead, taper off your use—one sugar instead of two in your morning coffee—for more successful results. Replace with better options—adding protein and healthy fats, like avocado and almonds, to your diet will keep you fuller for longer and will help banish those 3 p.m. sugar cravings we all know and dread. Forget the fake stuff—artificial sweeteners have actually been linked to weight gain because they trigger cravings for sweetness without giving your body any calories, meaning you end up eating more to try to satisfy that need. Amp up on taste—extra flavor in the form of spice, or naturally sweet additives like vanilla, cinnamon and nutmeg, can help make up for the sugar you’re initially missing. Chew gum—with very few grams of sugar, chewing gum can satisfy those sweet cravings while keeping your mouth too busy to reach for the less-healthy sweet stuff. Sleep more—sugar cravings actually increase when you’re tired, especially towards the end of the day when you need an energy boost. Shoot for 7-8 hours a night, minimum, to help beat that sweet tooth. Go for the best—every so often, choose an excellent, high quality dessert and really enjoy it. If you save your sugar calories for the really good stuff, you’re less likely to feel deprived and overdose another time. Drink water—juices and sodas (even diet ones, see tip #5) add unnecessary sugars to your life. Switch to water and you’ll cut down on sugar while enjoying a whole host of additional benefits!